Your hair looks great, outfit is perfect. Now … how’s your smile? Are you ready to have it posted on social media? Ready to share it with your former classmates at your upcoming class reunion? Or pose for pictures at the weddings you will be attending this summer? Today, almost everyone is carrying a camera with them at all times. And with social media’s popularity, your picture can be shared with hundreds (if not thousands of people) in a matter of minutes. You want to look your best. While your hair, your makeup, and your clothes can change from day-to-day, your smile remains the same. If you aren’t confident in your smile, then it may be time to talk to someone at Shorewood Family Dental Care about dental veneers. Our dentist office is located in Shorewood, IL. You can contact us to make any appointment by filling out our online form or by calling 815-725-5991. Schedule a consultation today if you would like to find out how veneers could help your smile. The perfect smile does exist. You can probably picture it in your mind. You may have seen this perfect smile on someone else. Perhaps it was a movie star on the silver screen or in a photograph in a magazine. There’s a good chance that whoever has that smile also has tried cosmetic or restorative dentistry (or both). Is that the smile you see when you look in the mirror? Would you like it to be? You may be able to have it with the dental veneers. Let’s start with a request we hear frequently. Many patients come to us because they want their teeth to be whiter. Professional teeth whitening is effective for many people, but it won’t work on every kind of discoloration. Meanwhile, veneers can work on teeth of nearly any color, regardless of the reason for the discoloration. Veneers don’t remove stains or conceal them. Veneers are made to be bonded to the front of your teeth to change their outward appearance. You can get veneers for a single tooth or a full set of veneers. The latter can be helpful if you have an issue that affects multiple teeth at the same time. For example, if you have teeth that are crooked or crowded together, we can give you a smile that looks straight and evenly spaced. Your veneers will be custom-designed to fit on your teeth and create the kind of smile you wish that you had. Gaps between teeth are common as well. Some people are fine with their gaps, and some people would prefer to close that space. With veneers, we can do exactly that. Our teeth go through a lot. We eat hard and crunchy foods that can wear down our enamel. We do things we shouldn’t, like using our teeth to open things. And of course, accidents happen. All of these things can cause our teeth to develop chips or to look shorter than we think they should. Fortunately, dental veneers can bring back your old smile. Dental veneers can be used to rebuild teeth that are chipped and worn down. When combined with the cosmetic benefits we mentioned earlier, your smile can look as good as — or better than — it ever has. You also should know that veneers are made to look like natural teeth. Just as important, you can continue eating the foods you enjoy eating with your dental veneers. It’s worth mentioning that veneers can be shaded to the whiteness that you prefer. If you want a pearly white smile, it can be yours. If you want to use a single veneer to make your smile look more uniform, your veneers can be shaded to match the rest of your teeth. 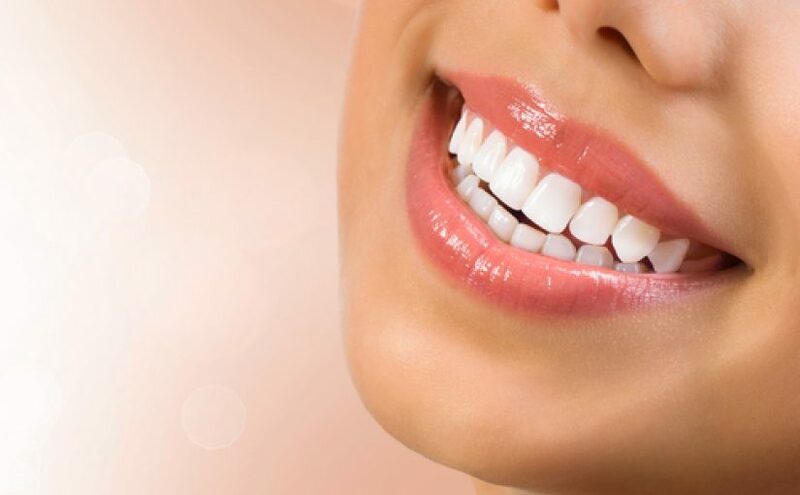 Since veneers are more stain resistant than teeth, you have a better chance of keeping your white smile if you care for your veneers correctly. With proper maintenance, your veneers can last for decades. Our dentists in Shorewood, IL, can answer your questions about dental veneers. The best way to get those answers is to schedule a free consultation at Shorewood Family Dental Care. Call 815-725-5991 or contact us online to plan your visit.